December 2016 – Sparkle "E" on the Scene! Close to 700 members turned out to enjoy the event with fellow actors…on December 14, 2016 at Screen Actors Guild headquarters in Los Angeles. President …Gabrielle Carteris and several other officials warmly greeted guests upon entry. Ned Vaughn, SAG’s 1st national vice president, also spoke to the assembled crowd and offered well-wishes for the holidays. 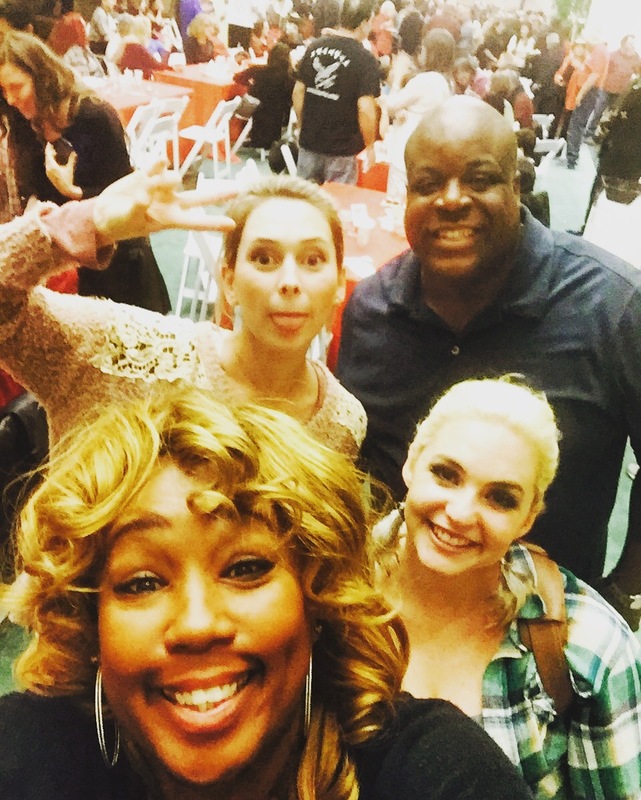 It was another successful year planned by Hollywood Holiday Host Committee. 2016 marks the 8th annual celebration. Toy Donations were also collected at the event…to support several local charities. 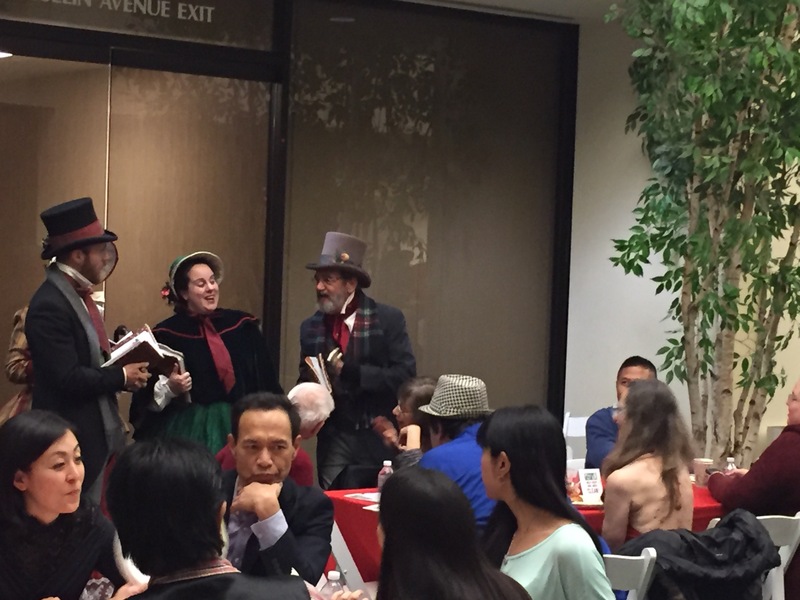 LA Union 🎭Actors…enjoyed 🎶Christmas Carollers🎶🎄 and great fellowship at the event. It was quite the festive occasion! There was a LOT of great food… and a delightful dessert table…with a wide assortment of tasty treats. Glorious #SeasoningsEatings! 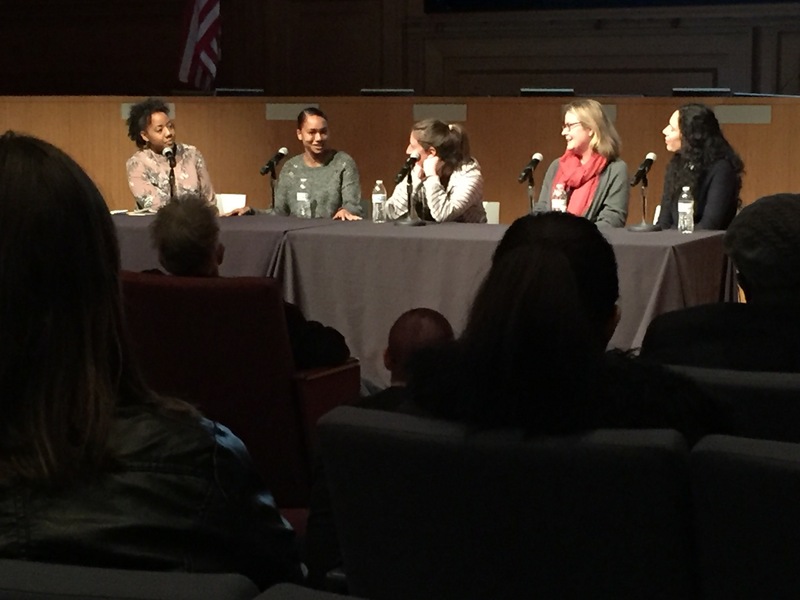 PRODUCING 101... sponsored by Women in Film was held on Monday Night, November 28, 2016 at West Hollywood Library. 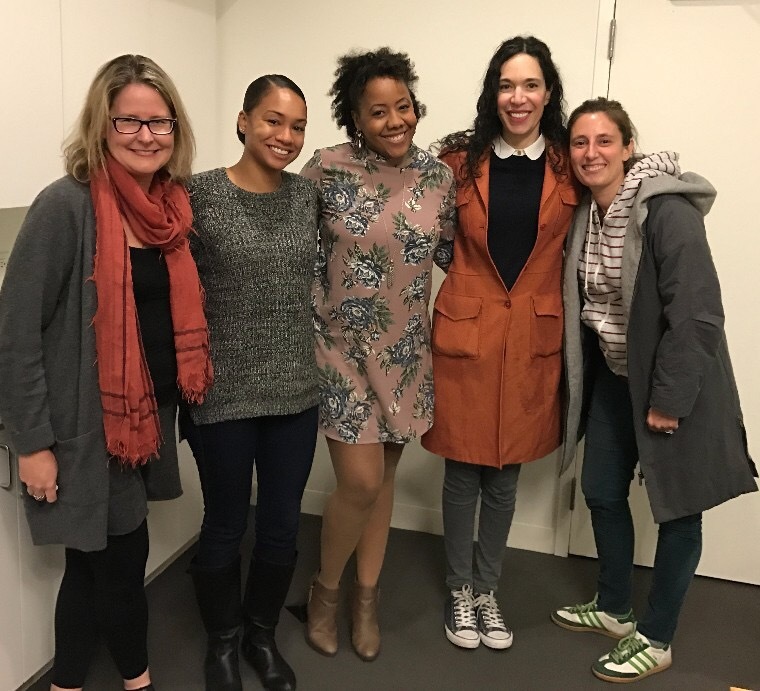 The panel included Giulia Caruso (Spa Night, Columbus),Deniese Davis (Insecure), Ramaa Mosley (The Brass Teapot) and Kelly Thomas (Spa Night). The focus was on the nuts and bolts of producing. By the end of the evening.. everyone intently listening… learned a good bit of information… they had never heard before! Panelists talked about keeping a tight production budget… handling unique filming requests like (locations, special effects), staying on track with limited shooting days, getting permits and licensing approved, details about contracts… and the wording used in the legal documents. They also talked about having good lawyers on their teams. 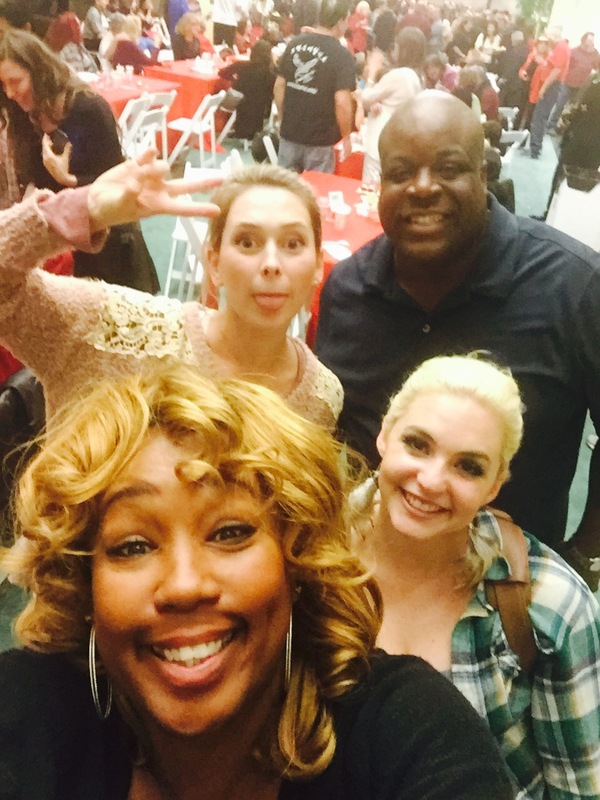 The women openly shared their knowledge… giving precise details that everyone could understand. Each panelist also talked about how they got into the producing field…educational training, and their current roles in the industry. Kelly Thomas shared how a successful crowd funding campaigns…can prove to bigger investors that your film has an audience. Kick Starter was mentioned several times… as being a solid launching pad to help a lot of people fund projects. Information was also shared on how experienced professionals can be hired to create effective fundraising campaigns… and marketing strategies to get projects supported. Deniese Davis...talked about the importance of deciding what kind of producer you want to be, and creating a plan for success. Giulia Caruso focused on the importance of taking responsibility as a producer… which also includes taking the heat when things don’t run so smoothly… and problems pop up. There were also comments about producers being master problem solvers… and being fair about delegating assignments to crew members. A GOOD producer sets the tone for a respectable work places.. which in turn creates a productive work environment. 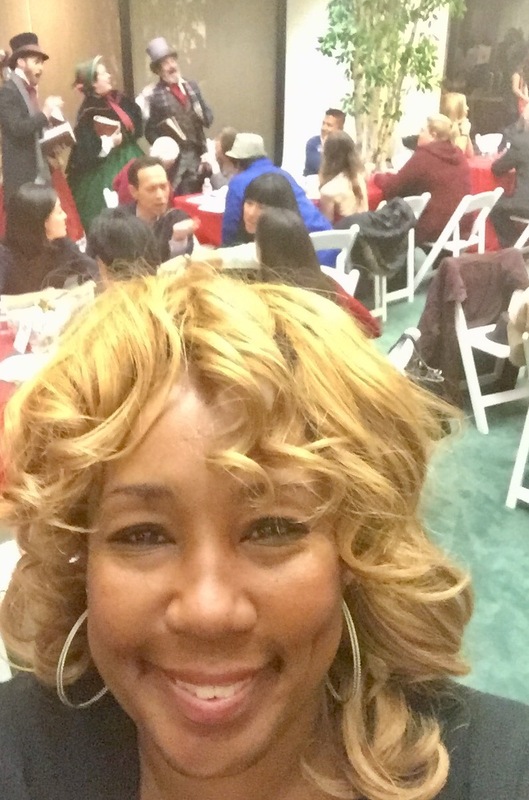 Ramaa Mosley encouraged people attending the session to network as much as possible. She revealed that she met a key player in her career at a networking event… and that individual turned out to be one of her greatest supporters.